Philip Freidin, designer of the first soft CPU in an FPGA 1991 #VintageComputing #FPGA @PhilipFreidin « Adafruit Industries – Makers, hackers, artists, designers and engineers! 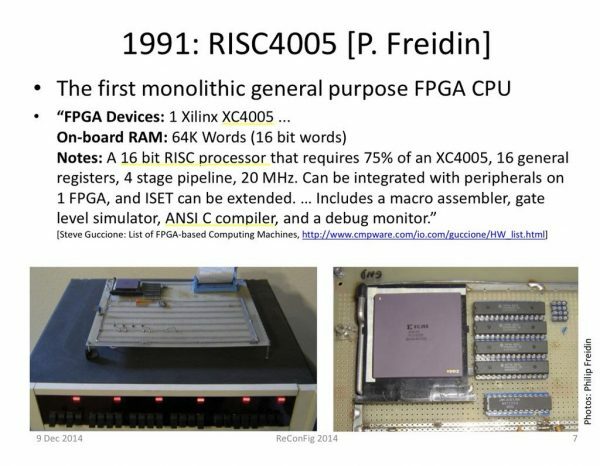 Via a few Twitter posts, I learned that Philip Freidin designed the first soft CPU in an FPGA, back in 1991. Freidin notes an early internet list of FPGA-based computing machines here which is a great historical reference. Thank you both for your contributions. I think the field you created is very much alive today.